Win Free Pluckers For a Year! Add the Pluckiest Predictor contest to your pre-game ritual! 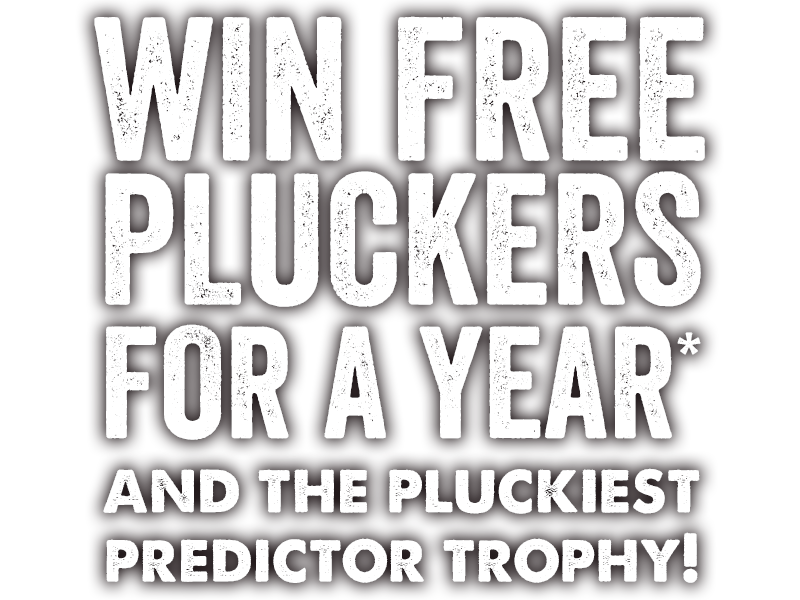 Click here to enter our Facebook contest to win Free Pluckers for a year* and our Pluckiest Predictor one of a kind trophy! Want a 2nd entry? Pluckers Club members can enter a second time by entering through our Pluckers Club mobile app. All entries must be received by Sunday February 3rd before 5:30pm. Free Pluckers for a Year = $15 x 52 weeks for a total of a $780 gift card. In the event of a tie we will choose all the correct predictions and draw a single winner. If there are no correct predictions we will choose the closest score to be the winner.